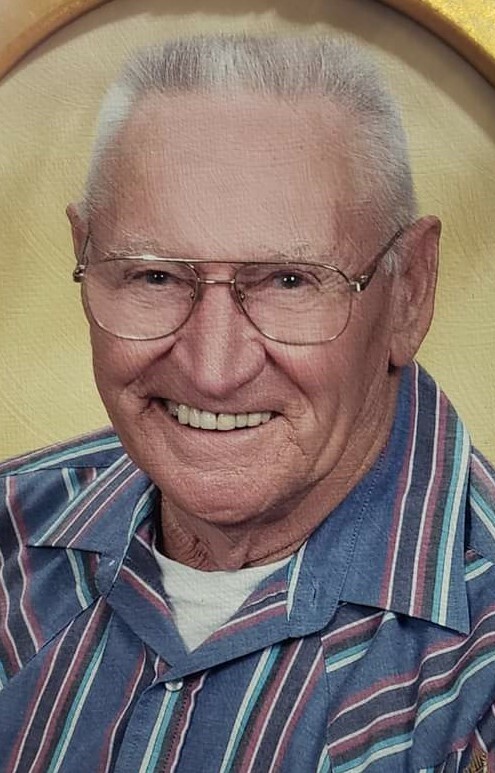 John Holden Bollier, 86, passed from this life on April 8, 2019 in Dallas, Texas. He was born March 16, 1933 in Terrell, Texas to John Alfred Bollier and Linnie Mae (Oliver) Bollier. John married his loving wife, Mary Etta (Thomas) Bollier on March 8, 1957 in Fort Worth, Texas. When John was only 13 years old, his father passed away. He and his brothers took responsibility and began working to support their family. When he was of age, he was drafted into the United States Army and proudly served his country. After leaving the Army, John worked many years for Bell Helicopter where he built crates for the helicopters to be shipped. John was also an outdoorsman who loved hunting and fishing. He and Mary lived in the Moyers area for 25 years where he was a member of the First Baptist Church. John is preceded in death by his parents: John Alfred and Linnie Mae Bollier; three brothers: James, Billy, and Bobby Bollier; and one sister: Juanita Dickey. He is survived by his wife Mary Etta Bollier of the home; daughters: Sandra Laky of Antlers, Oklahoma and Brenda Day of Moyers, Oklahoma; brother: Curtis Bollier of Granbury, Texas; grandchildren: Chelsea Ragland and husband Ryan, Alisha Igo and husband Jeremiah, Rebecca Laky, and Aaron Mustin; great-grandchildren: Logan, Zachary, and Elizabeth Ragland, Lily and Lexi Igo, and Holden Laky. Services for John will be held Thursday, April 11, 2019 at 10:00 AM at First Baptist Church of Antlers. A family night will be held at Serenity Funeral Service Wednesday, April 10, 2019 from 6:00-8:00 PM. Services have been entrusted to Serenity Funeral Service of Antlers.